Great tent. My 2011 Colorado 5 was one of the very last ones that GoOutdoors had in stock and I paid �235 in December 2011. At this price the tent was a steal. I've now used it for the Easter weekend in the Yorkshire Dales. The tent performed very well. It rained a lot and we were snug and dry. Because it is a tunnel style, there is plenty of room for me, the wife and our two small kids. It is also very bright with the plastic window panels. I really think this is the perfect size. 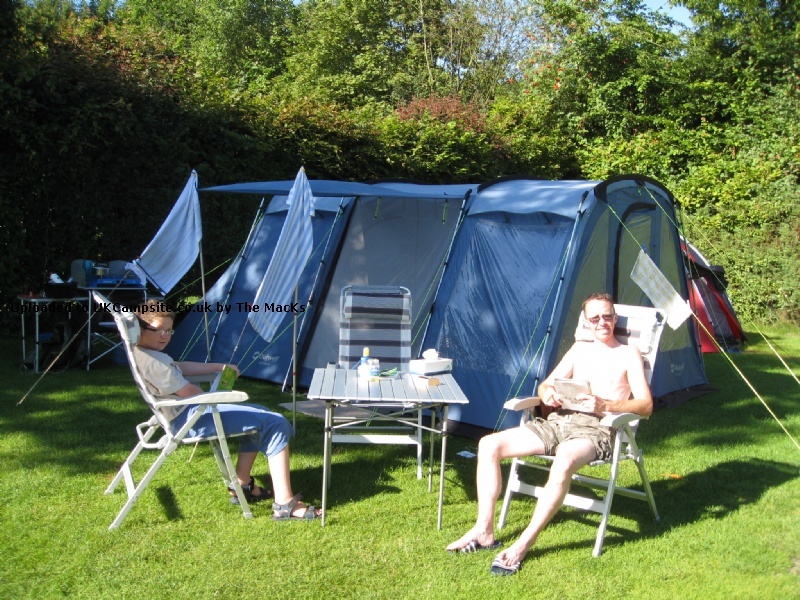 Sure, our friends had more space in their Vango Maritsa 600 but they couldn't even get it erected without help from me. I set my tent up without any help at all in about 45 minutes. I wish it had an extension for cooking but I've been able to create one with an excellent little tarp and a windbreak. I'm quite stoked about this tent and will get loads of use out of it. I purchased this Colorado 5 2011 signature edition at the end of August. I have only set it up in the garden to check it over (see photos) and I am very pleased with it. I would like to point out that the front wall does NOT. Move back on this edition so I hope Outwell bring out a front canopy soon. Got it for 325 with carpet and footprint. Bargain! 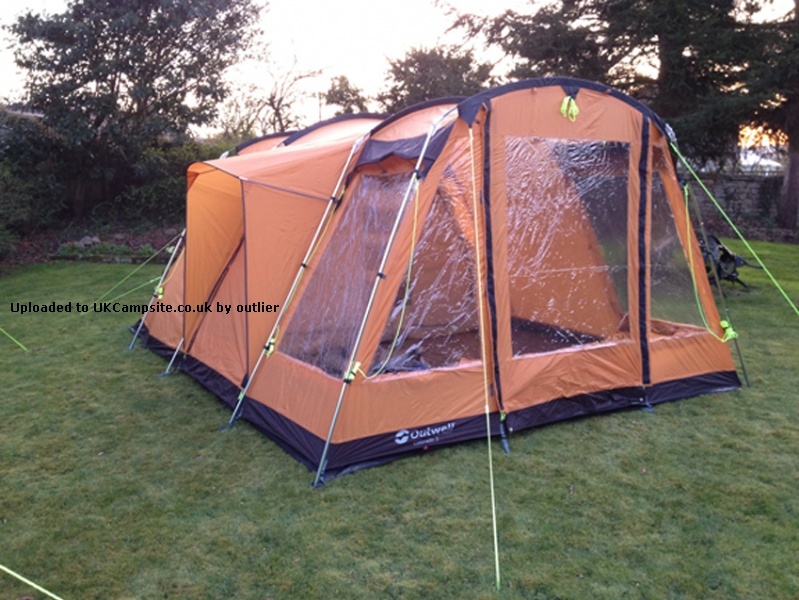 Outwell have relaunched this tent now with a SIG. It is even better than before. The other changes include a porch to keep the rain off when opening the door & curtains that come up from the bottom and it is ORANGE. OK a little bright but you cannot lose it on the site! It is an even better tent than before & a joys to pitch and take down. The same wonderful space and height and nothing lost in it's new form. The two separate bedrooms add to the flexibility and nice touches like the little extra pockets in the bedrooms and the main area are great. Compared to newer models I find it light enough for me (a five foot nothing girlie) to lug about and we can get it and all our gear in the boot of our saloon car. The one and only drawback is the lack of sewn-in groundsheet, and if I could get one fitted I wouldn't dream of parting with this for a very long time. We've had our Colorado 5 for 3 years now and are gutted to hear its been discontinued! We love the flexible and comfortable space and lots of windows makes it very bright. Being able to move the whole front wall is a very clever and useful option. We have a 2 year old and tend to all sleep together in the bedroom space and being able to zip/unzip this is another excellent detail. Its a well-made tent that has withstood gale force winds and torrential rain(!) and we've managed to track down an extension to give us extra shelter/shade. We're really happy with it! Brought this tent after our previous one had been destroyed in high winds. What can I say that hasn't already been said easy to pitch great size fantastic in all weather conditions in some debate with other half as to advantage of sewn in groundsheet We have the sun canopy which is a great place to remove wellies which seems to be an essential requirement of our camping breaks, but great tent for two adults and two children, looking forward to using this tent for many more years. Just back from our first long trip - 7 nights Austria, 4 nights Germany - with this tent. We'd used it for short trips but this was a real test. We are delighted. It was put up in pouring rain, had wind, hailstones, more rain and hot sunny days and it was great through it all. 2 adults & 1 child had loads of space, table and chairs fitted in when it was wet and the end which can be removed was great for the hot days. The wee extra touches were super - small pockets in rooms handy for bit & pieces, velcro ties for cable storage for hanging up a light on inside and storing guy ropes when packed, big windows, good vents. A great tent and can't see why we'd need anything else. 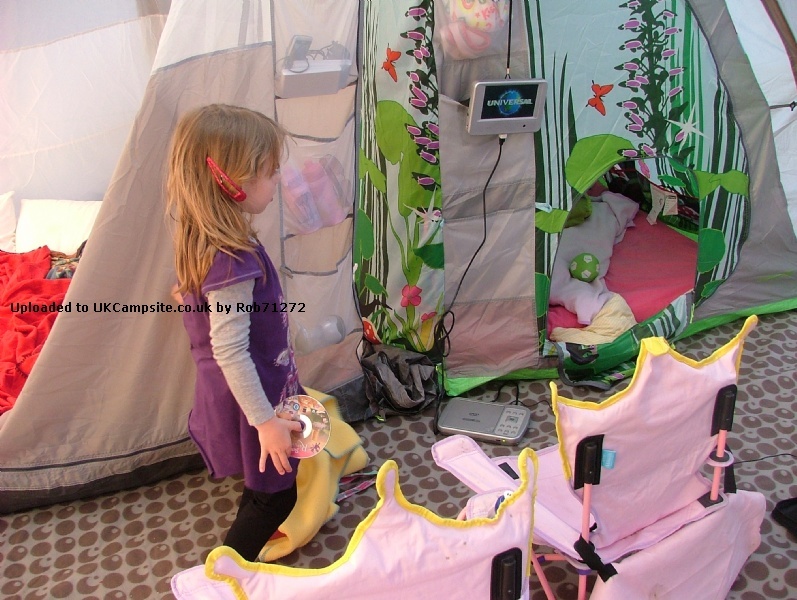 A superb tent for two adults and one child, anything more and you would be cosy! Even during the hot days, the tent remained cool inside, even with the doors and windows closed using the mesh. 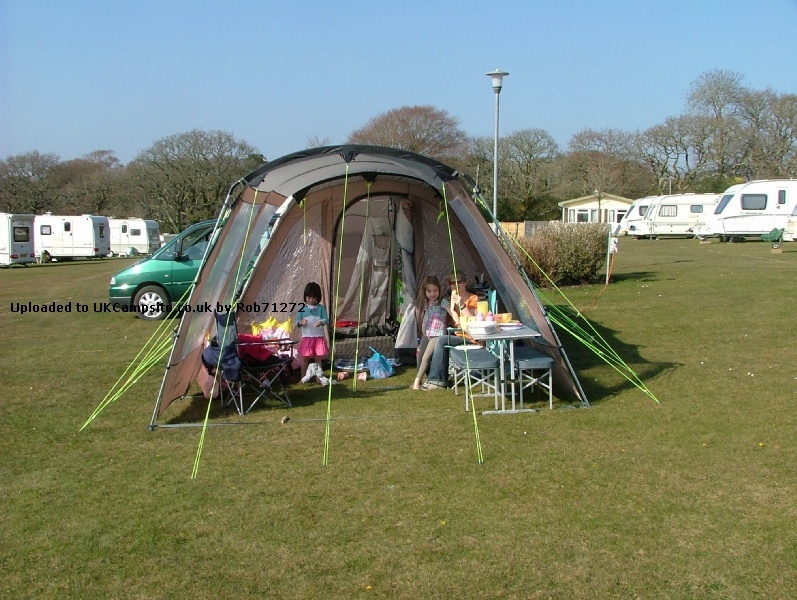 It has a large living space that can be reduced to provide a small canopy, weather permitting. The large panoramic windows are brilliant, allowing loads of natural light within. The only reason I gave it 9/10, was the groundsheet. I think the tent would better suffice from a SIG rather than the one provided. It really is simple to erect and dismantle, ask my OH! 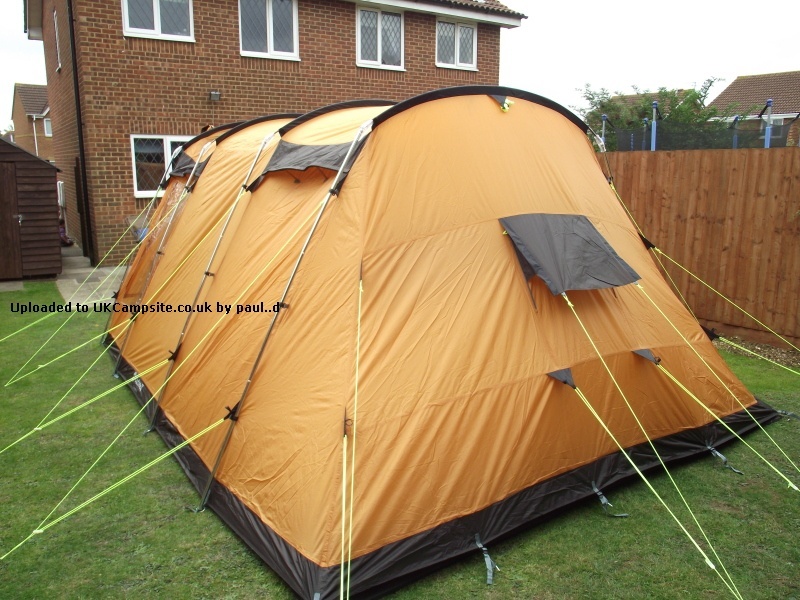 Bought this tent in the sales last year and have just used it for the first time and we are very impressed. 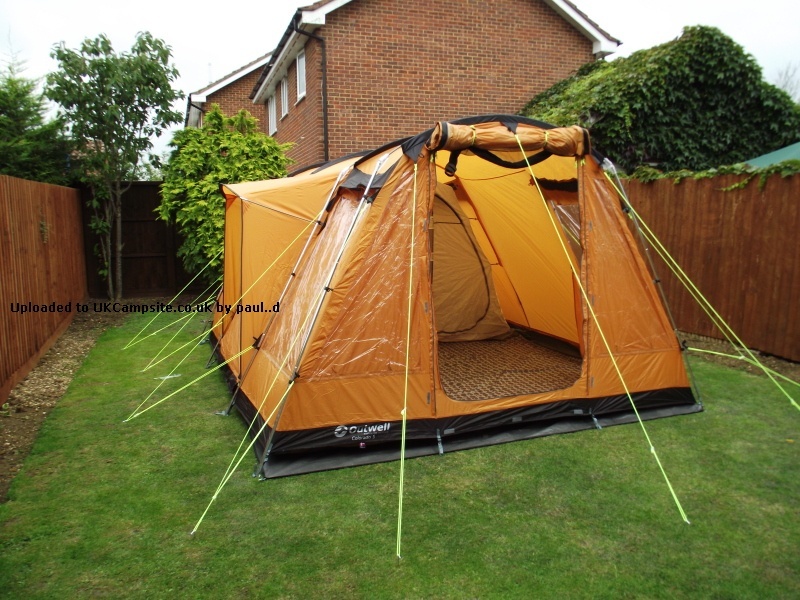 Bought it to replace our larger and more awkward Kyham, as our daughter is grown up now and we thought a slightly smaller tent was in order. 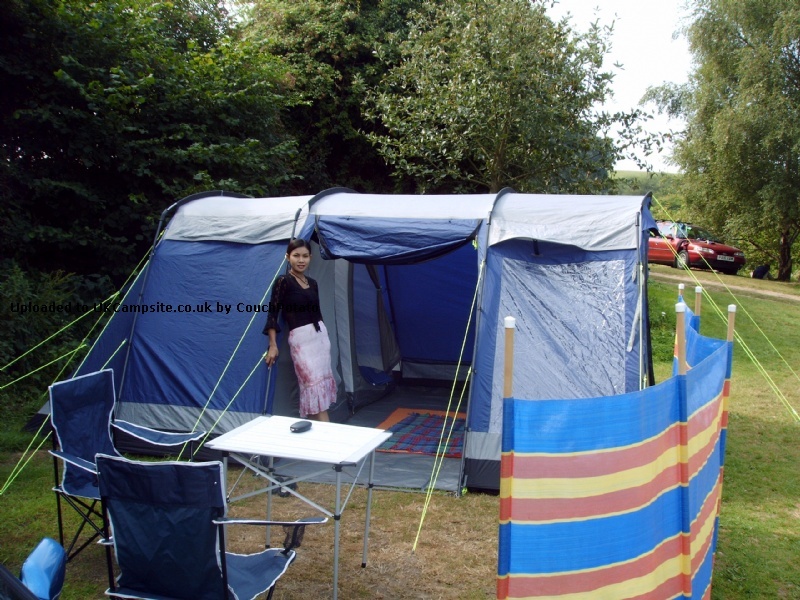 However she came with us this trip and the tent is more than adequate for three adults. She does however say that mattresses should be carefully positioned in the sleeping areas to avoid 'being kneed in the back by Dad'. The tent is very well designed. The windows let in plenty of light and we were all able to sit round our table comfortably with plenty of room. 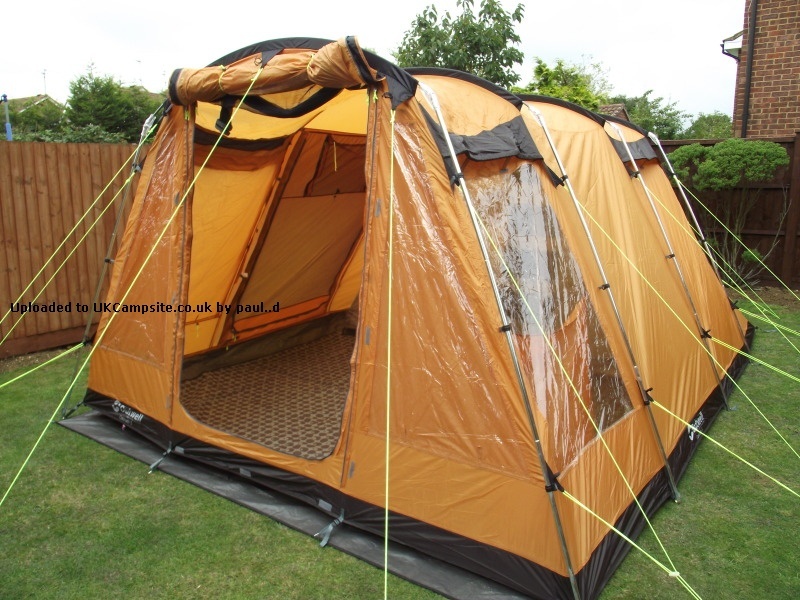 This tent assembles logically and easily and has very good ventilation panels, but is not drafty. When packed the tent is heavy, mostly due to the strong steel poles. The instructions say to roll the tent round the poles, but my husband thinks it would be better if the poles were separate. I agree with him as I found the whole thing too heavy to put back in the loft. 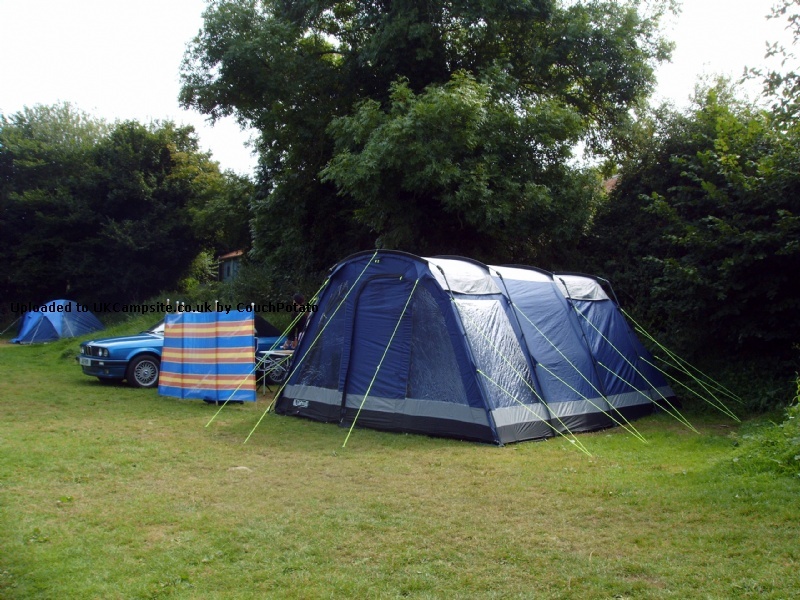 However, this is an excellent tent and I look forwards to using it again in the summer. 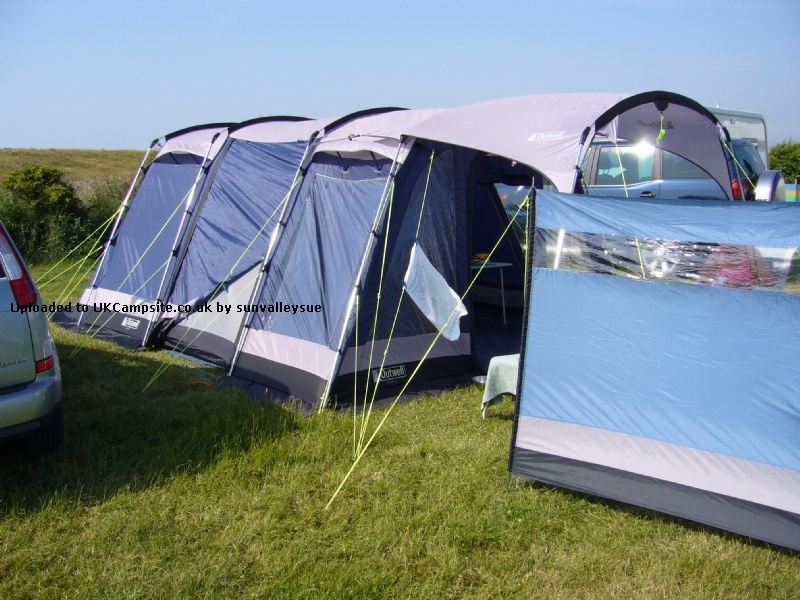 Our tent does not have a built in groundsheet and this is a major drawback as the rear half of the tent is open to the elements at ground level. There are no mud flaps there and it can be very draughty. 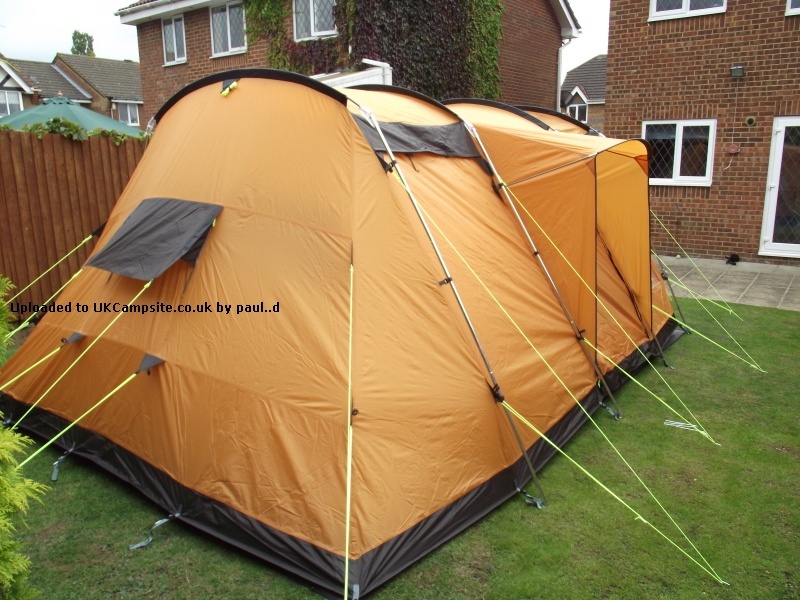 Apart from this the tent is of very good construction and easy to put up. Ours has been in wind and rain with no problems. 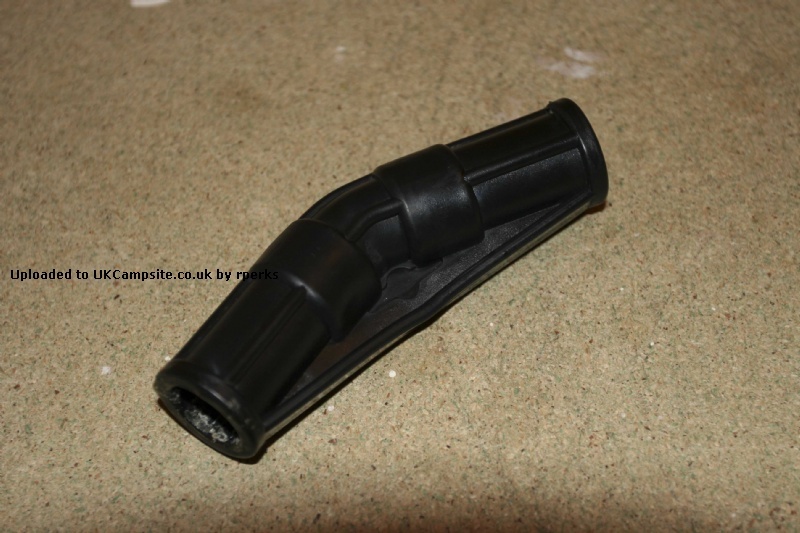 Add your review of the Colorado 5! 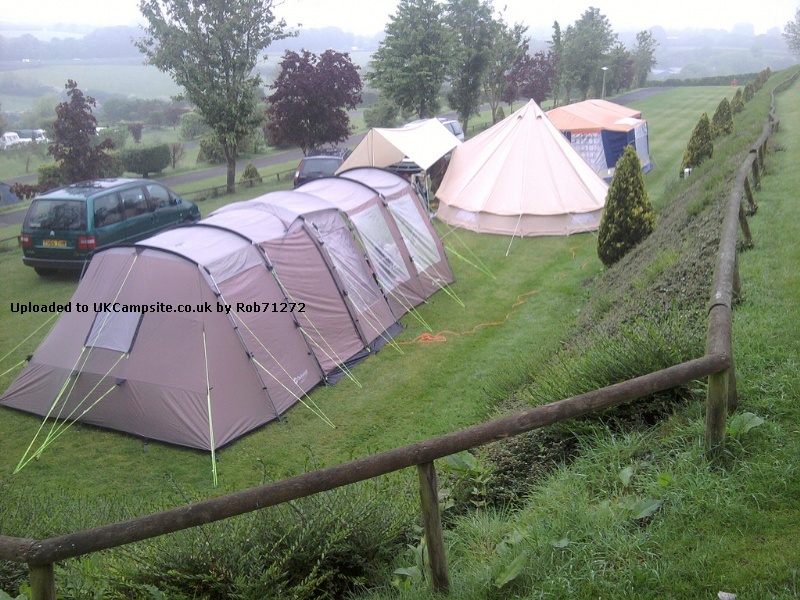 The easy-to-pitch Colorado 5 sleeps up to 5 persons in pre-attached 3 + 2 universal inner tents. 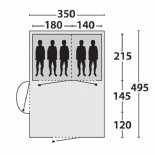 This inviting model comes with large panorama windows and a Sealed Ground System, as well as doors that are equipped with no-see-um-mesh to provide refreshing screen-house ventilation and keep insects out. To ensure reliable strength and minimise weight, the mainpoles in a Colorado 5 are made of steel and the roof poles of Duratec fibreglass. Colorado 5 comes with a wide range of popular Outwell features, including a variable front wall, guyline retainers, and light cable tidies.